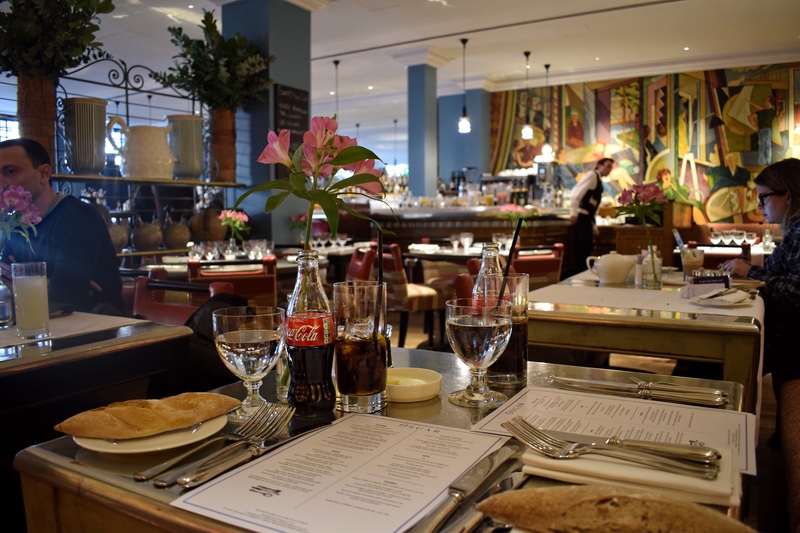 Last week i was invited to lunch in Oscar restaurant at Charlotte street hotel to try out their a la carte menu. 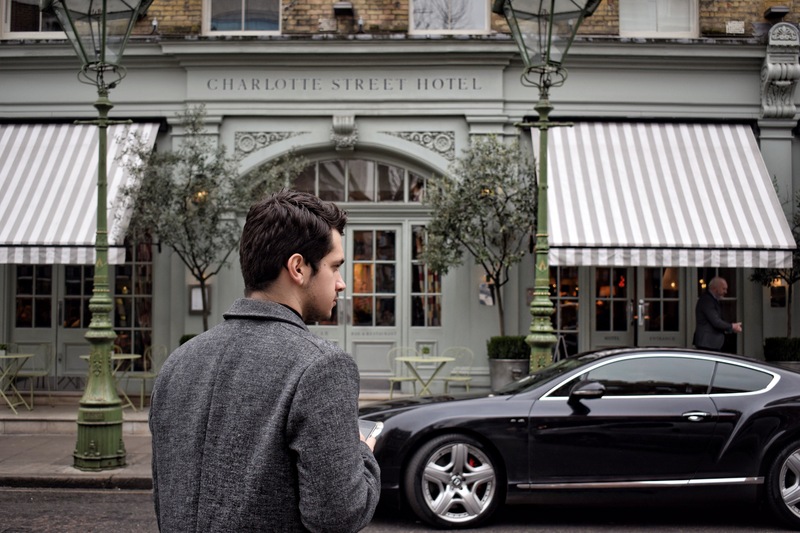 The hotel is a part of the Firmdale group with hotels in London, New York and Barbados! You can check more about their branches here. 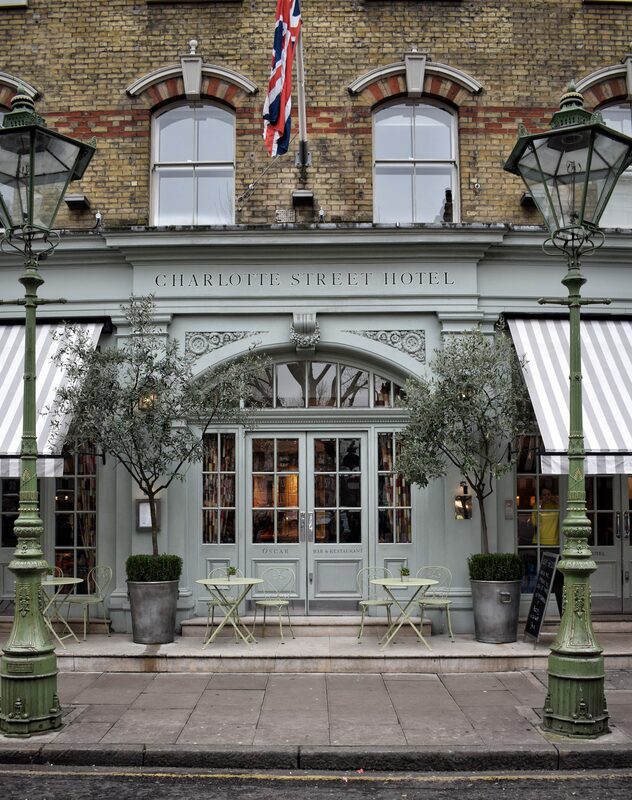 Charlotte Street hotel is in a prime location, situated in the quite neighbourhood of north Soho but still within short walk of the hustle and bustle in Oxford Street. 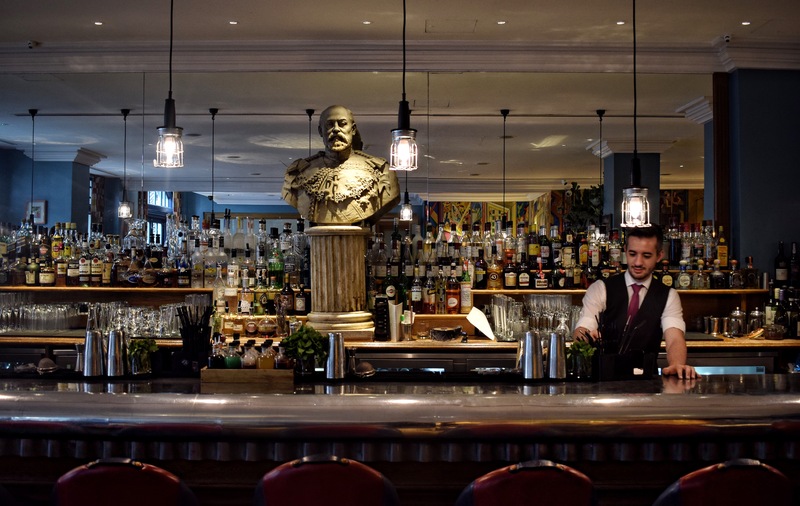 With 24 hour room service and amenities such as gym, library and a 67 Ferrari leather screening room, it is no mistake that this boutique hotel holds a 5* ranking. 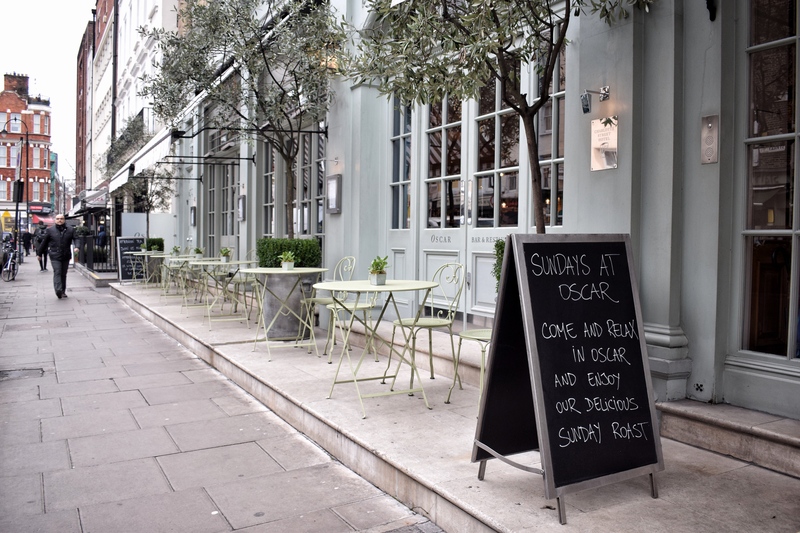 The Oscar Restaurant serving British cuisine is located on the ground floor next to the lobby. 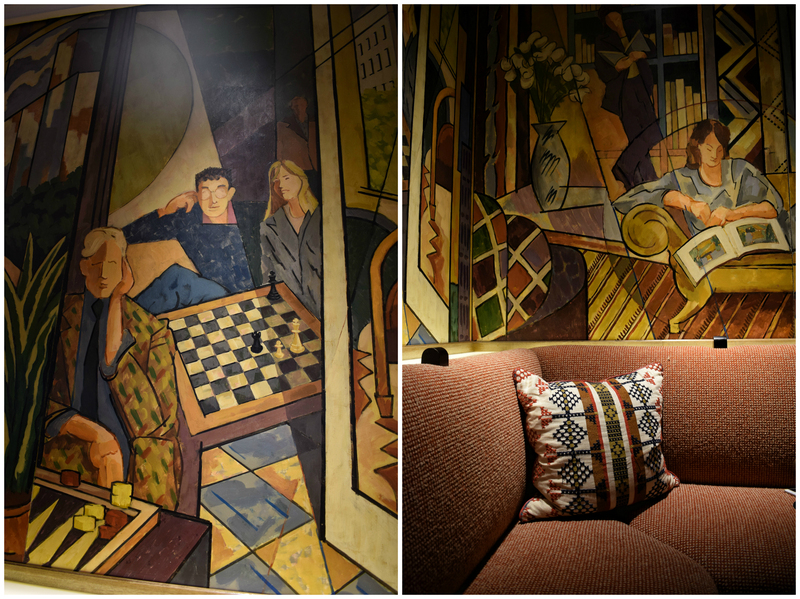 It’s designed by the talented Kit Kemp who wanted to convey a “Bloomsbury Group” theme throughout the hotel by featuring period art pieces including a mural that featured Scenes of Contemporary London, situated right behind us while we were eating! 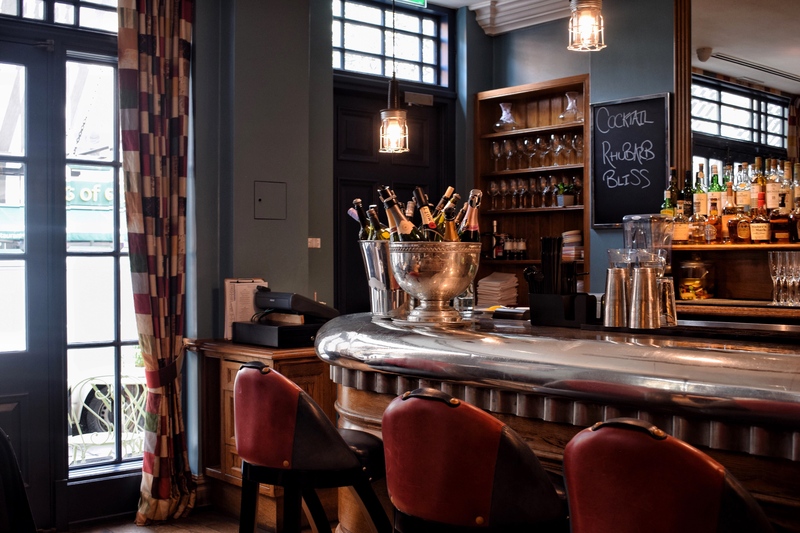 The bar also opens out to the street during the summer months giving the space a more airy and vibrant ‘look’. 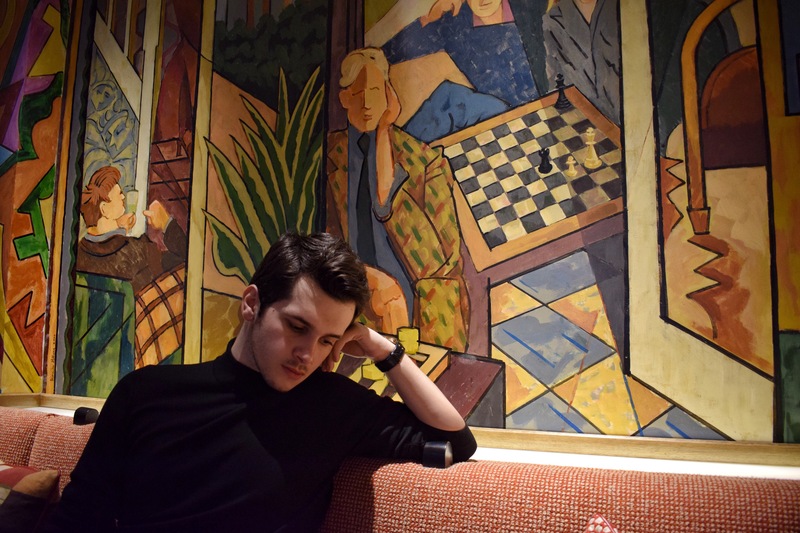 In our visit, we sat in the restaurant area which is a bit more dim and reserved as the natural sunlight doesn’t reach there. 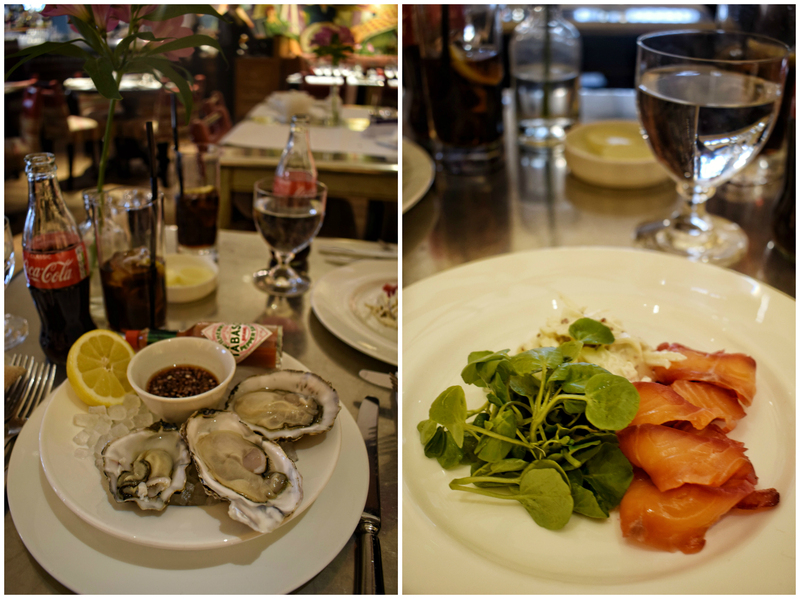 When it comes to food, for Starters we chose Oysters that were served with merlot dressing and a plate of mouthwatering cured Salmon with celeriac remoulade. The special of the day was fish in white sauce and it was delicious. I normally don’t prefer white fish as i tend to find it tasteless but this dish really opened my eyes on new flavours, ha! 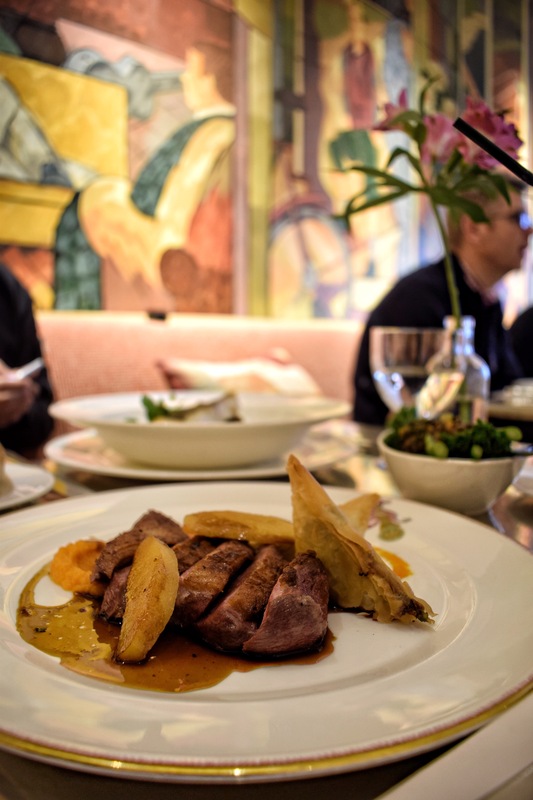 As my main, i chose the roast duck with pumpkin puree which was so tender that it melt in my mouth. This is definitely my favourite course in the whole experience and i highly recommend it. 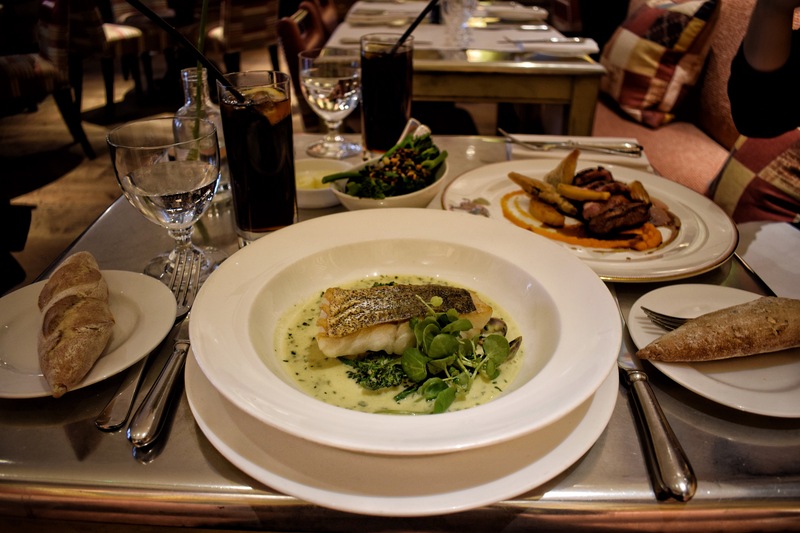 We accompanied our mains with a side of steamed broccolini with lentil vinaigrette. It was dessert time and although full i still couldn’t resist their extensive menu. 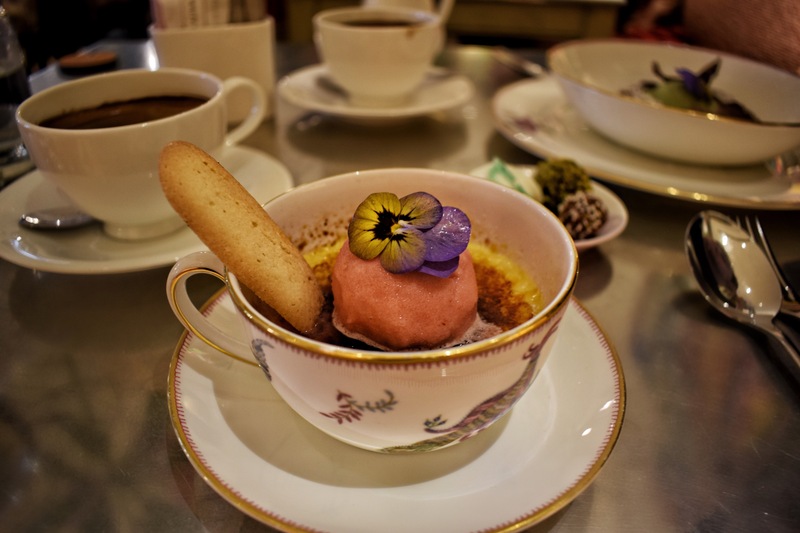 After some thought, we opted for the Chocolate moelleux with pistachio ice cream and the Blood Orange Creme Brulee. 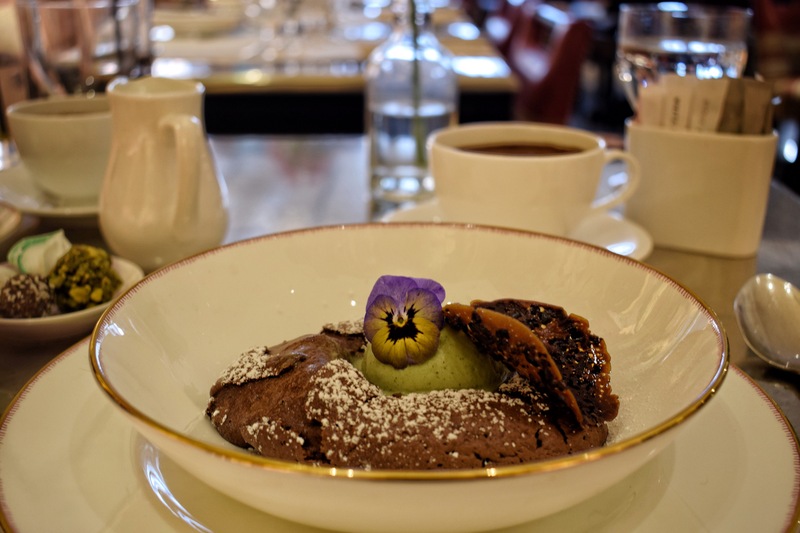 The chocolate mousse was a literal chocolate heaven, different layers of chocolate with the pistachio ice cream binding all the flavours together. I have been outside of this hotel so many times and only now i realised what i have been missing. I will definitely be visiting the bar again, especially in a summertime night. 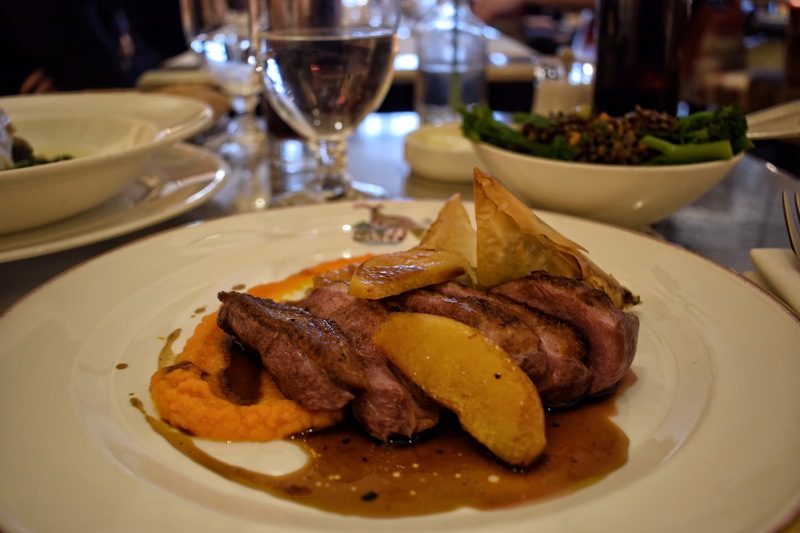 Disclaimer: I was invited to Oscar restaurant for the purpose of this review, however all opinions are my own. Thank you! Indeed the hotel is beautiful. You definitely should! The food is amazing, even for a little snack.